The body most often is detailed human, while the head is right out of your worst nightmare. Ghastly yet beautiful is how one viewer described it. 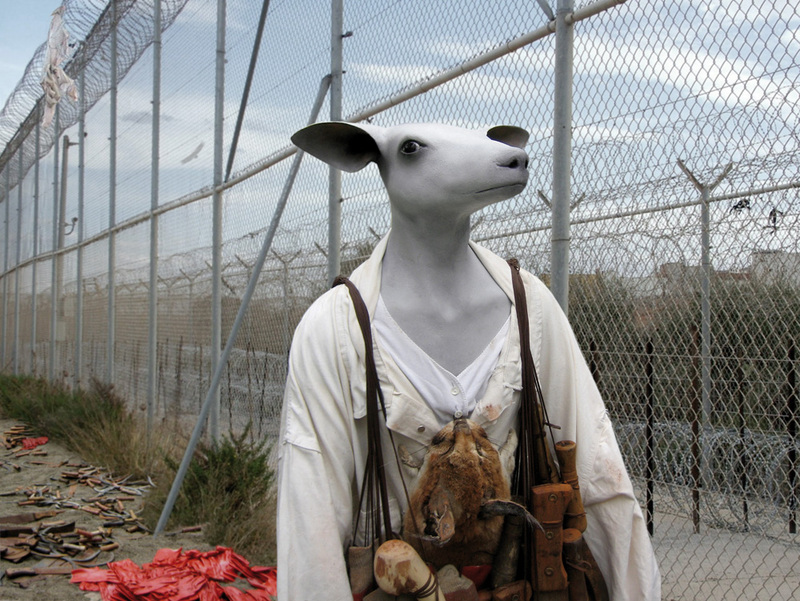 Jane Alexander works by building her figures up in plaster on a variety of frameworks, adding found elements like bone or horns. Oil colours tint the flesh. In recent years, many of the figures have been dressed in purchased or specially made clothes. Alexander’s work does not lend itself to easy interpretation, but despite the artist’s silence on the subject, the menacing and eerie figures The Butcher Boys, like Alexander’s other sculptures from the late Eighties, were understood to be a manifestation of the deeply maladjusted apartheid society.